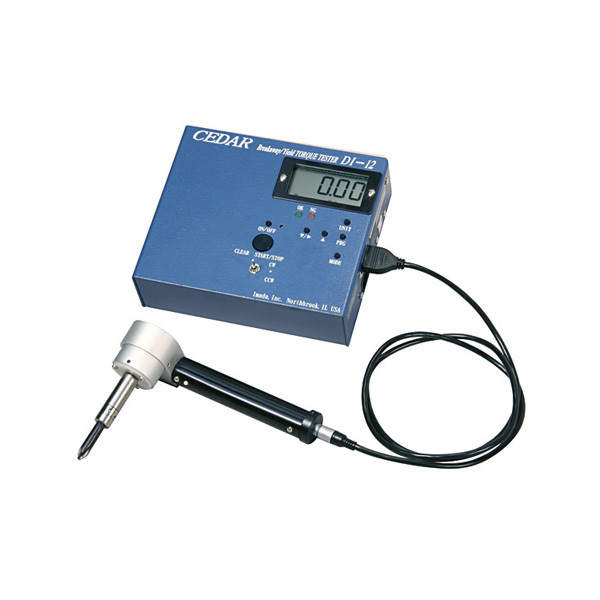 DI-12 Breakaway Torque Tester | Imada Inc. Controlling the tightening torque on fasteners (bolts and screws) being tightened by impact and non-impact power tools is challenging. Power tools provide dynamic torque that can vary depending on many variables, such as joint material types, joint layer thicknesses, temperature, the presence of lubricants, etc. As a result, “applied torque” does not equate to “actual tightening torque.“ For this reason, auditing the actual tightening torque is critical. The most common toque auditing method is breakaway testing. This process involves applying additional torque to a tightened fastener to detect actual tightened torque as the fastener starts moving. This assumes (theoretically) that torque values dip down briefly before climbing to higher than original tightened torque. However, auditing fasteners made of plastic or small-size screws is often challenging, as standard breakaway testing will not always show a clear dip in torque. Additionally, performing a good breakaway test requires a skilled operator and many hours of training and experience. Using an Imada DI-12 motorized auto-detect breakaway torque tester, operators achieve a more reliable and consistent breakaway torque measurement, even in the case of small or plastic fasteners. The DI-12 also can be used to detect the yield torque value of a specific joint, to help establish an ideal tightening torque value by testing—not by commonly used calculation methods. It’s easy to use and provides rapid, reliable testing for actual tightening torque. 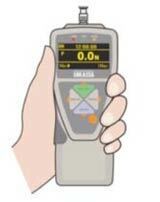 The tester features three measurement modes: TR, PP and PD. TR displays real time torque values. PP Displays peak torque values. PD determines breakway and yield torque (CW only). 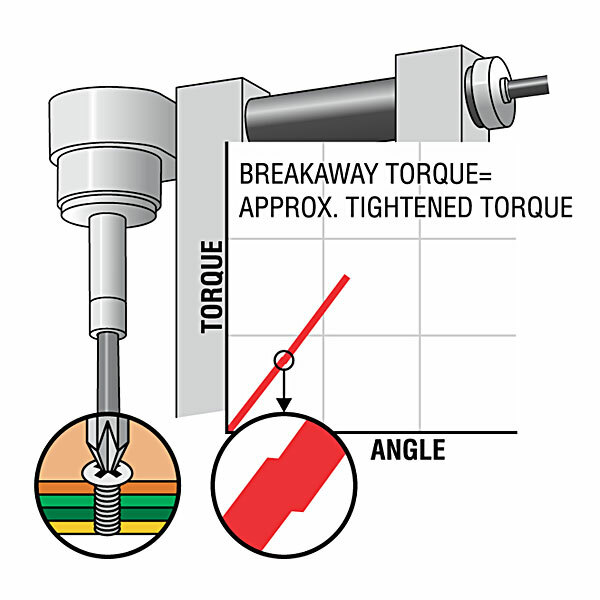 If breakaway torque value is detected, the green indicator will light, and tester rotation will stop automatically. The DI-12 outputs torque data continuously (in PD mode) to data acquisition software via the USB virtual COM port, enabling the display of breakaway torque profiles. All testers come with a 3-Point Certificate traceable to NIST. ISO-17025 Certificates are available at an additional charge. All testers are sold in a complete kit with tester, hard plastic carrying case, and AC adapter/charger.The DI-12 can run on internal rechargeable batteries or the AC adapter/charger. Measurement Modes PP: Displays PEAK Torque value that will not change until a higher value is measured. TR: Displays TRANSIENT torque values. PD: Determines breakaway and yield torque (CW only) If a breakaway torque value is detected, the green indicator will light, and tester rotation will stop automatically. Output Virtual RS-232 (9600 bps): PP 1 peak data, PD 80 data/sec. Auto-power-off After 5 minutes of non-use.